Seduce. Deceive. Repeat. 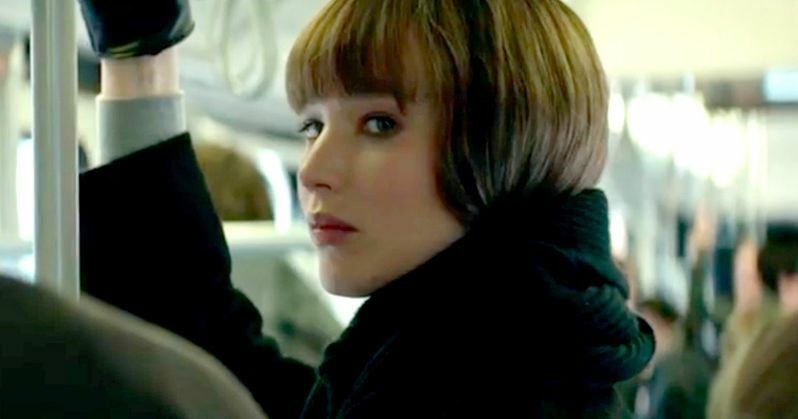 The first trailer for the upcoming spy thriller Red Sparrow starring Jennifer Lawrence has just been released by 20th Century Fox. Directed by Francis Lawrence and starring Jennifer Lawrence, Joel Edgerton, Matthias Schoenaerts, Charlotte Rampling, Mary-Louise Parker and Jeremy Irons, the film hits theaters March 2nd, 2018! You can check out the first footage below. Justin Haythe wrote the screenplay for Red Sparrow based on the original book by Jason Matthews. Producers include Peter Chernin, Steve Zaillian, Jenno Topping. Jennifer Lawerence and Francis Lawrence, who are not related, first worked together on the 2013 franchise sequel Hunger Games: Catching Fire. They would go onto do the two part finale Mockingjay Part 1 and Part 2. Francis Lawrence first got his start directing music videos, and has worked with Beyonce, Lady Gaga, Britney Spears, OK Go and more. He is best known for directing movies such as Will Smith's I Am Legend, Keanu Reeves in Constantine and Reese Witherspoon in Water for Elephants. With mother! in weekends this Friday, it's interesting to note that the director of that film, Darren Aronofsky, who is now dating both the star of that movie and Red Sparrow, was first up to direct this spy thriller. He started pre-production planning while still in the midst of his biblical thriller Noah. 20th Century Fox purchased the rights to the novel back in April 2013, months before it was published by Scribner in June of that year, in a bidding war that involved multiple studios. As you can see, Aronofsky eventually left the project, with Francis Lawrence coming in at a later date. You can see Jennifer Lawrence in Darren Aronofsky's mother! this weekend, which is garnering mixed reviews. Some are calling it a brilliant horror movies, while others aren't so impressed. Perhaps Red Sparrow will be more attuned to a wide spread general audience as it appears to be a more straight forward spy thriller. You can see the first footage here courtesy of the 20th Century Fox youtube page.